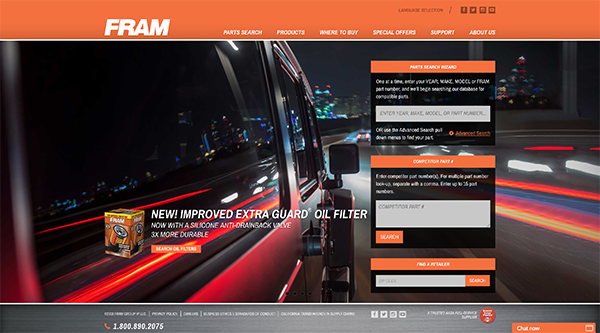 FRAM has announced the launch of the new Fram.com. Easy to navigate and responsive on mobile, the website’s enhanced design introduces a series of helpful features and offers a superior experience for new and returning visitors. Experience the new website at Fram.com.